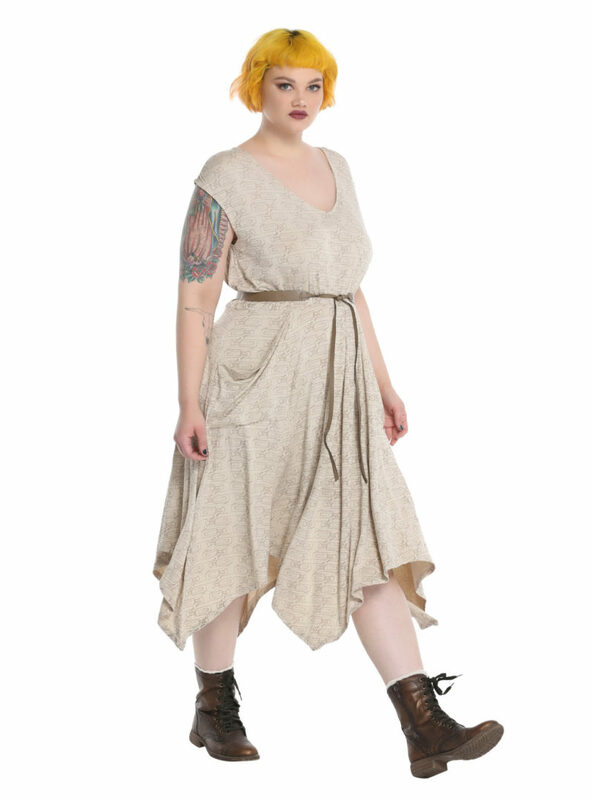 The women’s plus size Her Universe Rey dress is now available at Hot Topic. 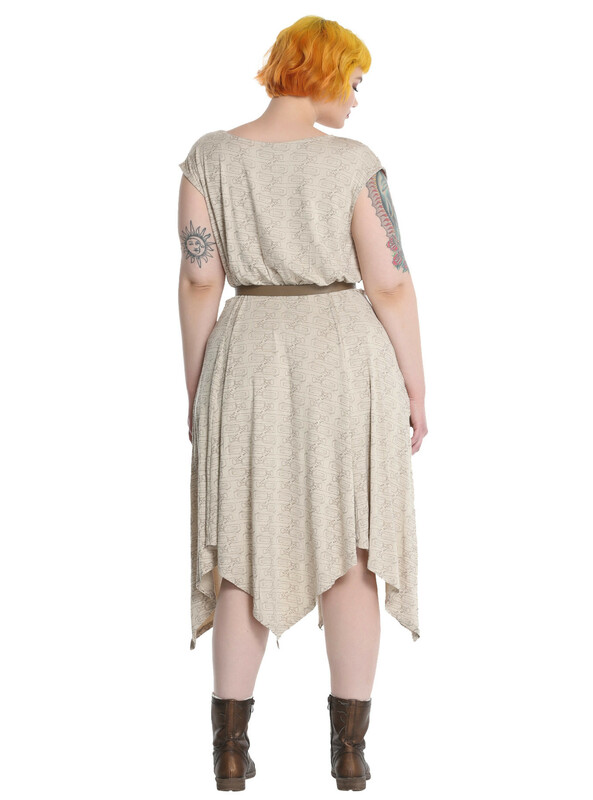 Released a couple of weeks ago in standard sizes, the long awaited Rey dress is now available in plus sizes too. 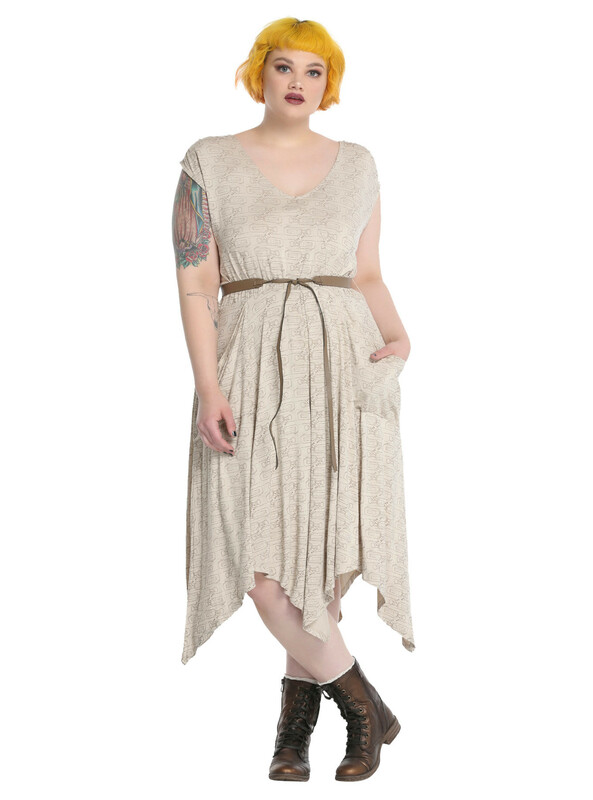 Part of the Star Wars Episode 7 collection designed by the winners of the Her Universe Fashion Show last year, the beige dress features an all over light brown print of Rey on her Jakku speeder. 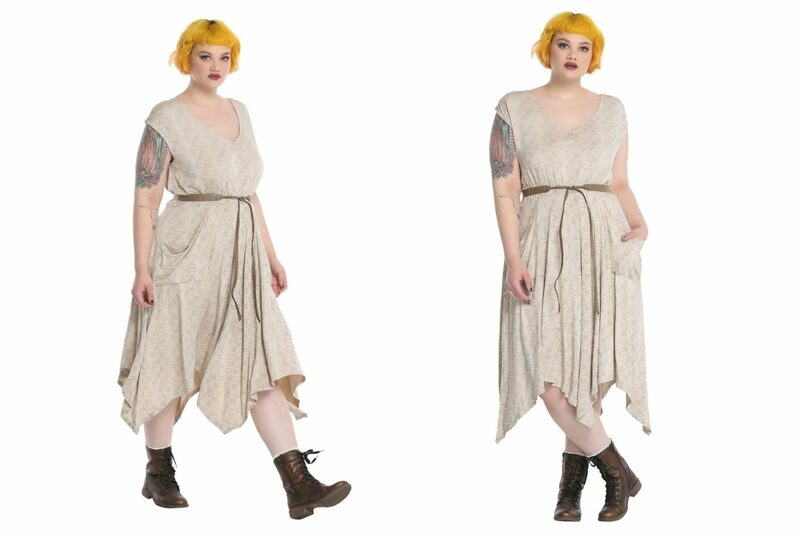 The sleeveless dress also features front pockets, a faux leather belt, and a handkerchief style hemline. Available in plus sizes o to 5, the dress is priced at US$68.90 each – but for a limited time, it’s on sale for only US$41.34 each! Hot Topic can ship internationally, which is great.